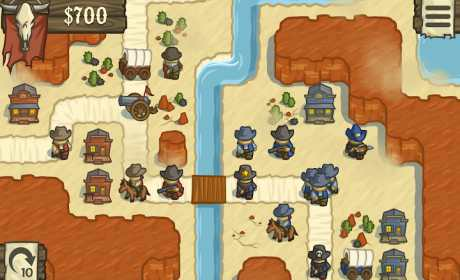 Lost Frontier is a turn-based strategy game, brought to you from the creators of the Battleheart and Zombieville series’. In a fantasy-western setting consumed by steam-punk technology and the supernatural, can you survive with just your wit and a six-gun at your side? 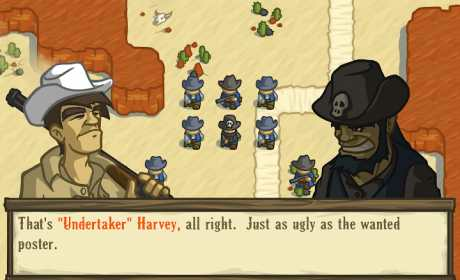 • Story Mode – Play through 24 chapters that introduce you to the gameplay, characters, and world of Lost Frontier. • Challenge Mode – once you’ve mastered the mechanics, put your knowledge to the test in a series of 20 demanding missions. • 20 Unique Unit types – take command of a wide range of Wild West forces, from Gunslingers and Cavalry to civil-war era Cannons and Gatling Guns. Or, employ more exotic weapons like steam-powered Gyrocopters and Zeppelins, and enlist the help of dark forces like Werewolves and Necromancers. • Living Legends – choose a “Living Legend” as the leader of your forces. Each of the 9 unique legends grow in power as you play with them, and promote different play styles. 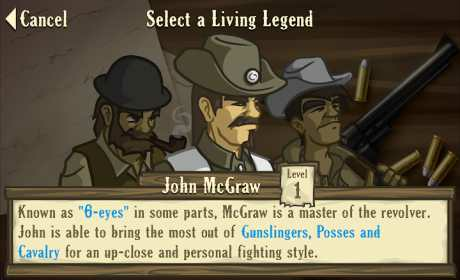 Will you pick your foes off from a distance as Wyatt “Long-Arm” Wilcox, or focus on brute force with the help of ace gunslinger John “6-eyes” McGraw? • Custom Games – choose from a variety of maps, set up the rules, and play with or against AI or human players via local, hot-seat play.